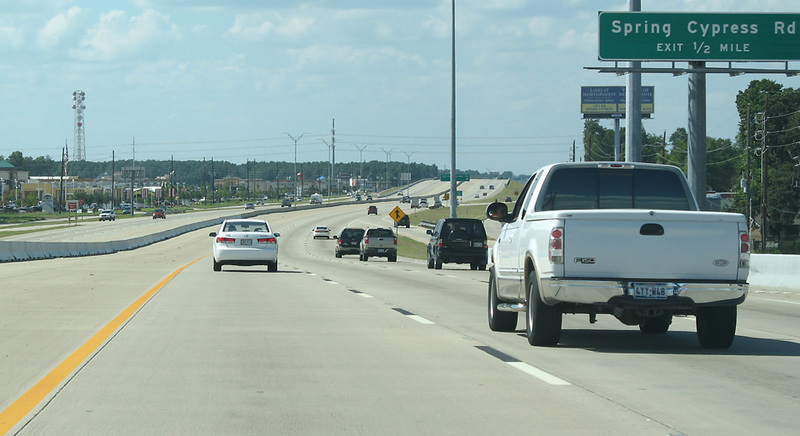 The SH 249 Tomball Parkway freeway main lanes and frontage roads were constructed between 1990 and 2000, moving steadily northward from Beltway 8. 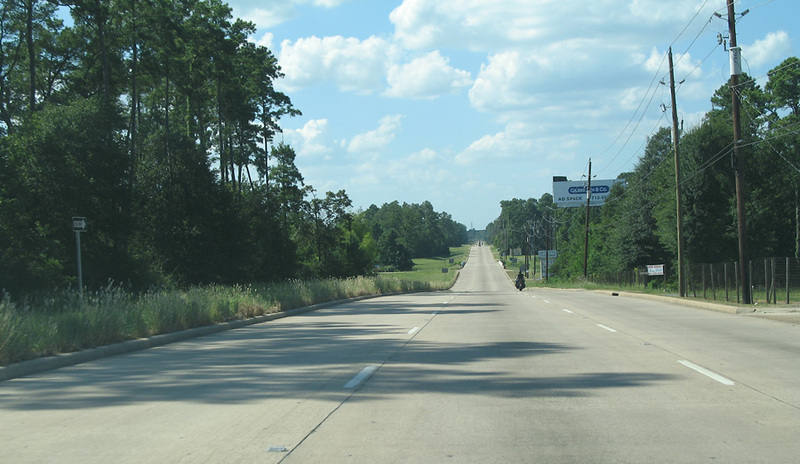 A section of frontage roads south of Tomball opened in 2002. 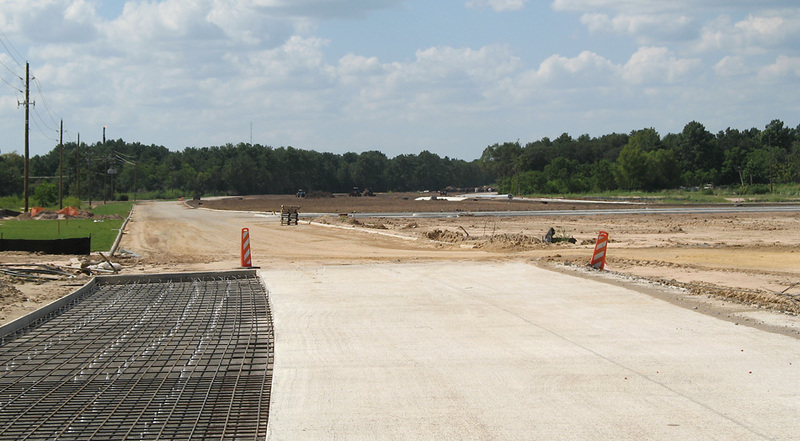 Currently the next section of frontage roads is under construction around Tomball. 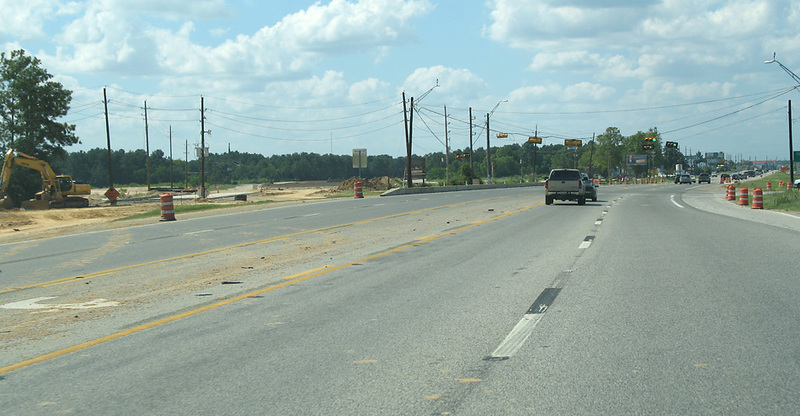 Photos of that construction are available at the August 2006 Houston Update. 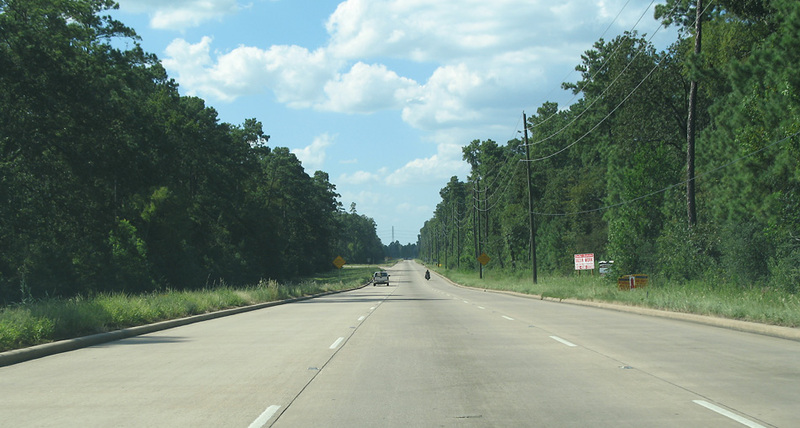 North of Tomball SH 249 will be a tollway, with construction anticipated to begin in 2013. 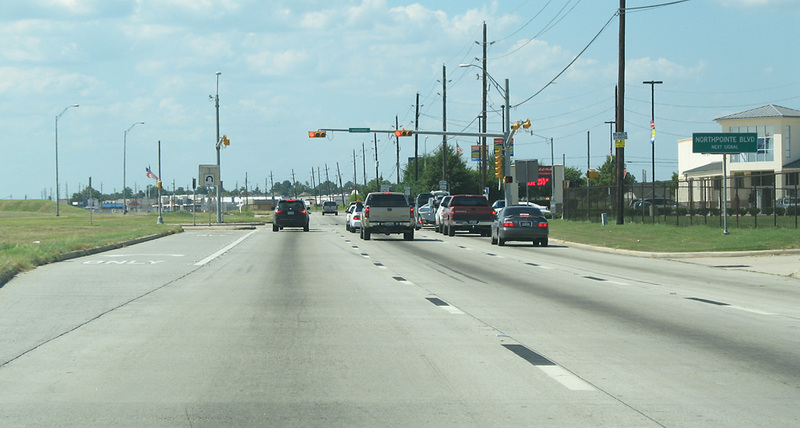 These photos start at Beltway 8 and proceed north to Pinehurst. Entering SH 249 on the ramp from Beltway 8/Sam Houston Tollway. On the railroad overpass north of Beltway 8. 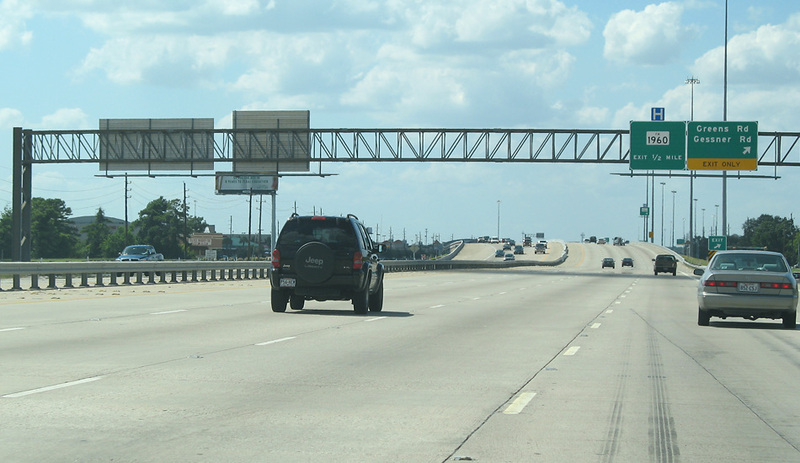 Just north of FM 1960 with braided ramps on both sides of the freeway. 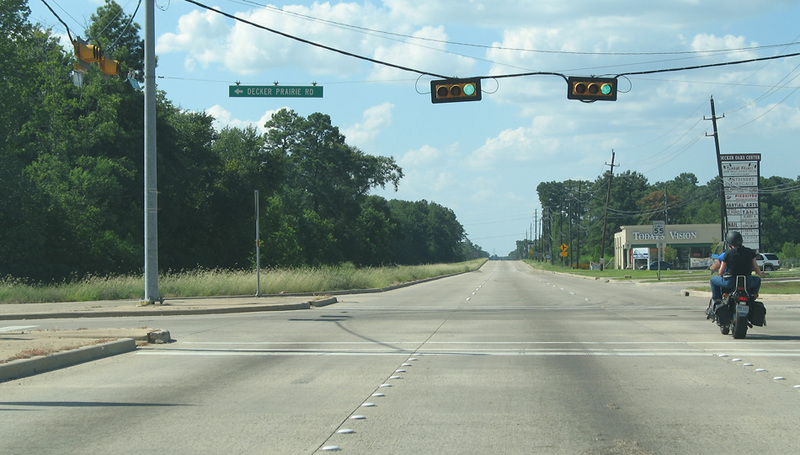 North of FM 1960 approaching Grant Road. 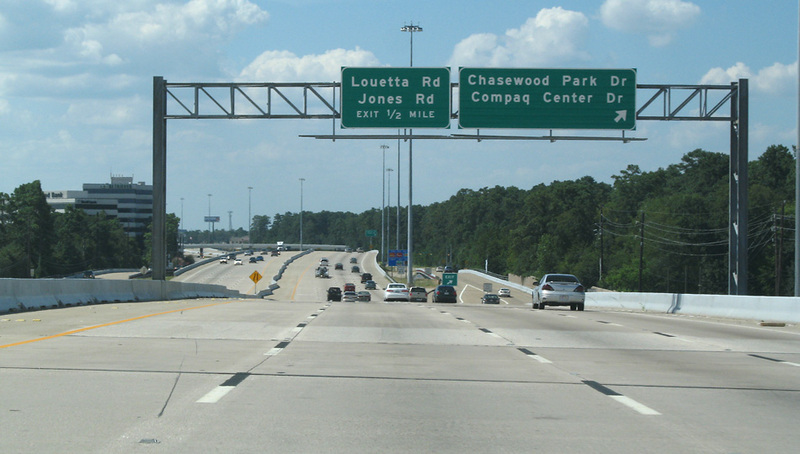 Approaching the exit for Chasewood Park drive and Compaq Center Drive. At the exit for Chasewood Park/Compaq Center. The Hewlett-Packard campus (former Compaq headquarters) is on the left. 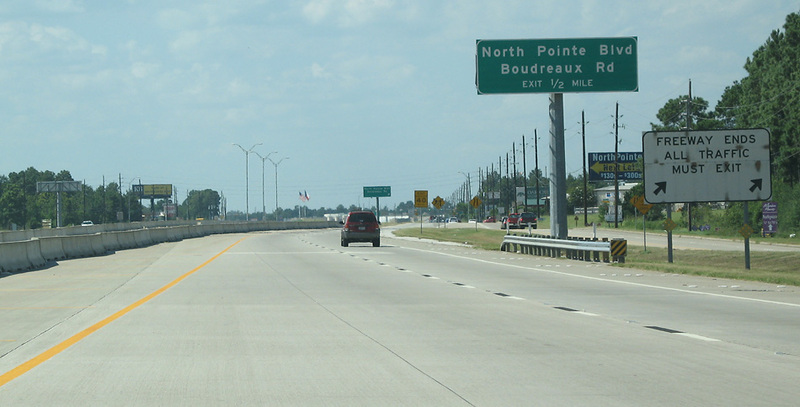 The intererior lane ends south of Louetta. 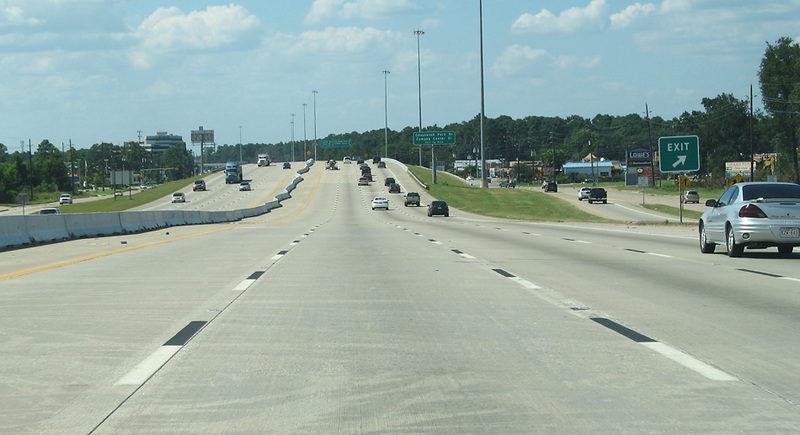 However, the pavement width ahead remains the same, so adding the fourth lane will just be a matter of restriping. 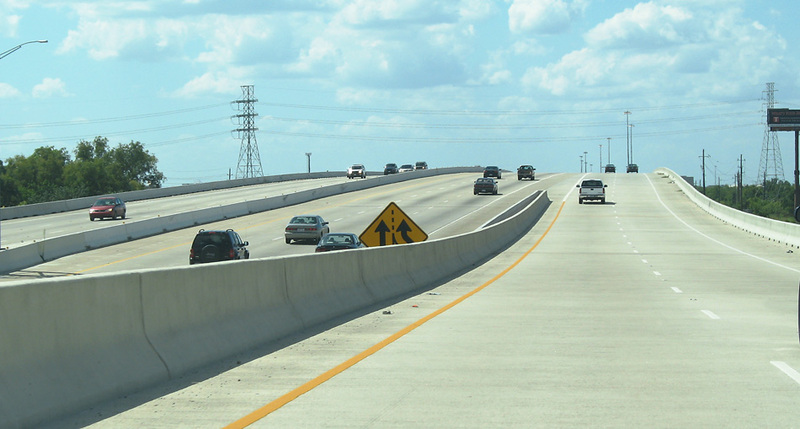 This view shows the extra-wide interior shoulder, available for the future fourth main traffic lane. Approaching the end of the main lanes between Spring-Cypress and Northpointe. At the end of the main lanes. Exiting to the feeder at the end of the main lanes. Future main lanes are almost certainly going to be tolled. The first traffic light at Northpointe. Driving northbound on the frontage road. 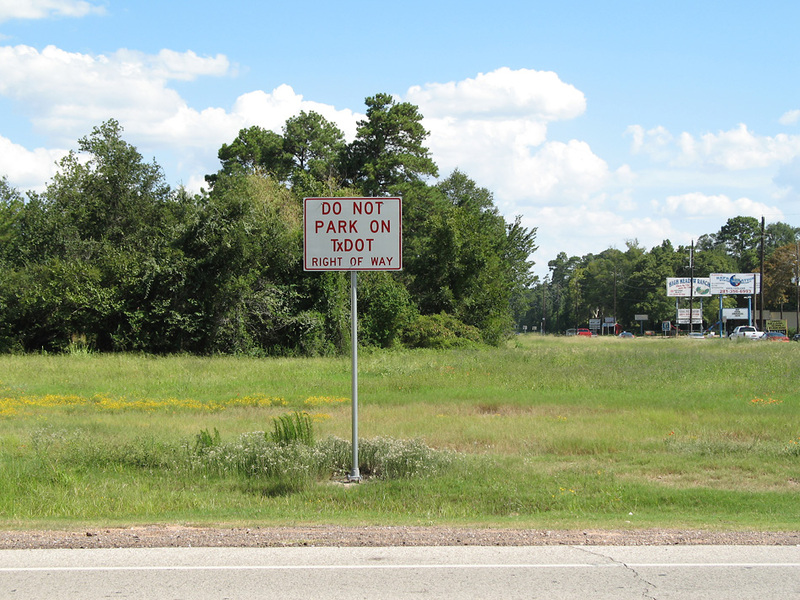 The future Grand Parkway will cross in this area (specifically at Boudreaux Road). Traffic shifts to the original pavement. 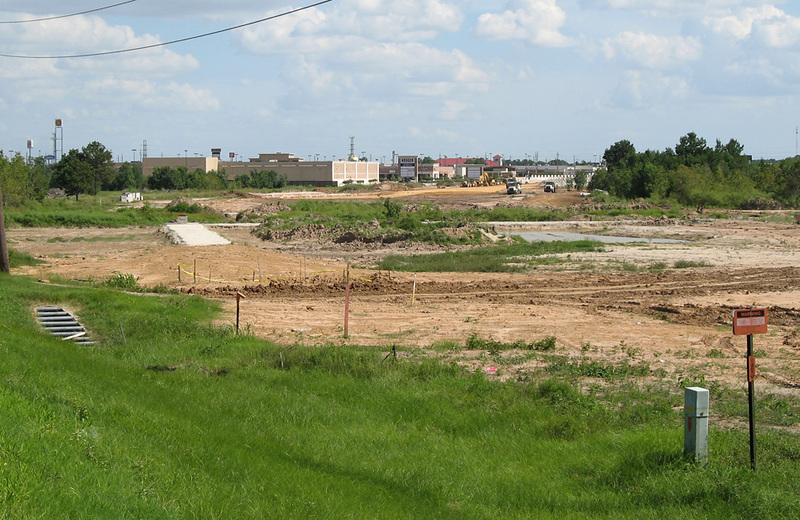 Frontage roads are under construction, visible on the left. Just south of Tomball the new facility will be on a new alignment bypass. Here we see the bypass veering off to the left. This is a view along the bypass, which will be frontage roads only except for one overpass. 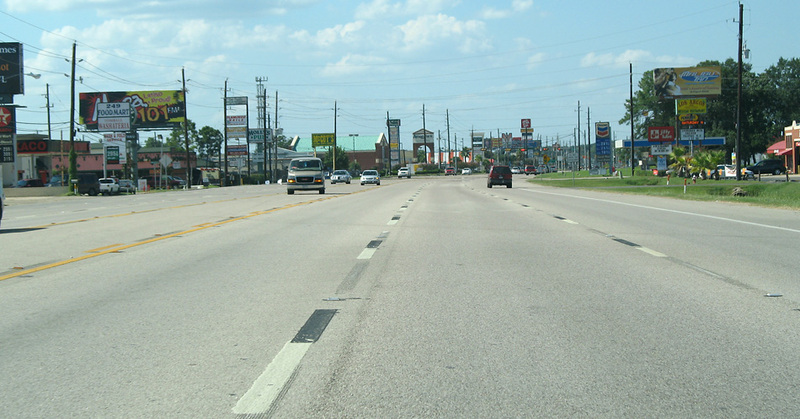 In Tomball, a heavily commericalized strip. 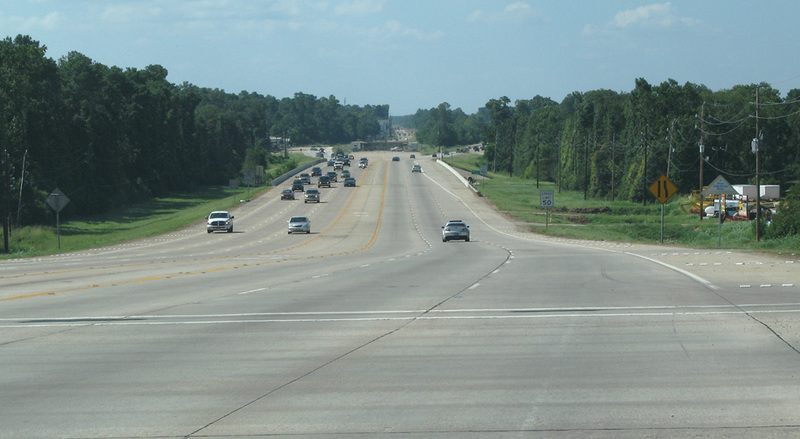 This view looks south at the north end of the bypass, north of Tomball. 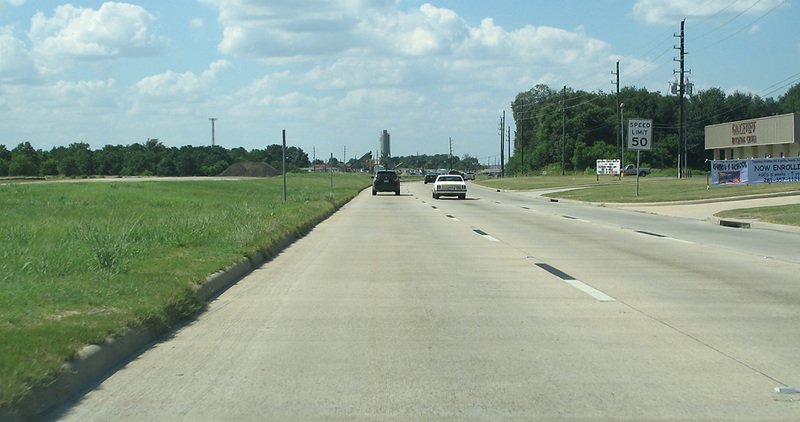 Just after crossing the Harris-Montgomery county line (into Montgomery County), SH 249 returns to a frontage road configuration. TxDOT has posted no parking signs on the right-of-way for the main lanes. This is at or near Decker Prairie Road. North of Decker Prairie Road. The median is mostly wooded. Proceeding northbound on the frontage road. 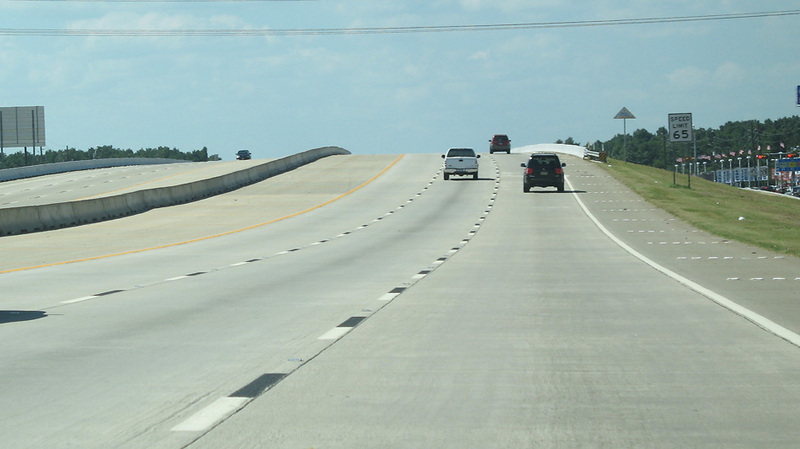 Just ahead the frontage road configuration ends and the highway becomes a country road.